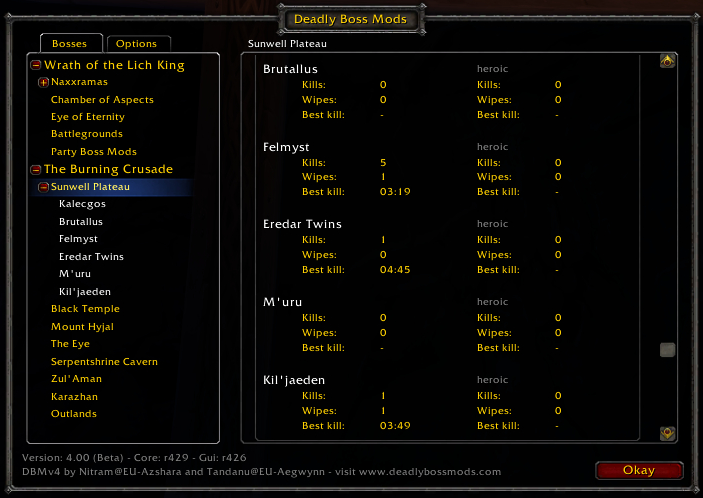 Contains mods for all Burning Crusade raids. 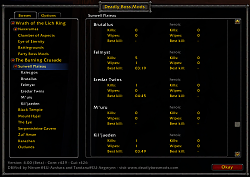 r362 and r363 is displayed as old version in the Blizzard Addon Manager ?? why ? This is not the most recent file and is incompatible with the 4.0.1-capable version of DBM. Fixed, I appologize for lack of updates here. I will take over maintaining updates here now that i know sub authors can manage files and keep things taken care of. I thought only Mave could do it.